Footballer Wayne Rooney has reportedly signed a multi-billion dollar marketing deal in the United States to rival that of David Beckham’s. The former England star, 32 – who has just crossed Stateside to play for Washington team DC United – is said to make a fortune with his latest signing ­with marketing giant Octagon. According to The Sun, the deal is set to be signed this week and could see Wayne become one of America’s richest soccer players. The publication reported that Wayne – who moved to Washington with wife Colleen and four children in July – could even see success on reality TV, as well as endorsements for sports, food, phones and cars. 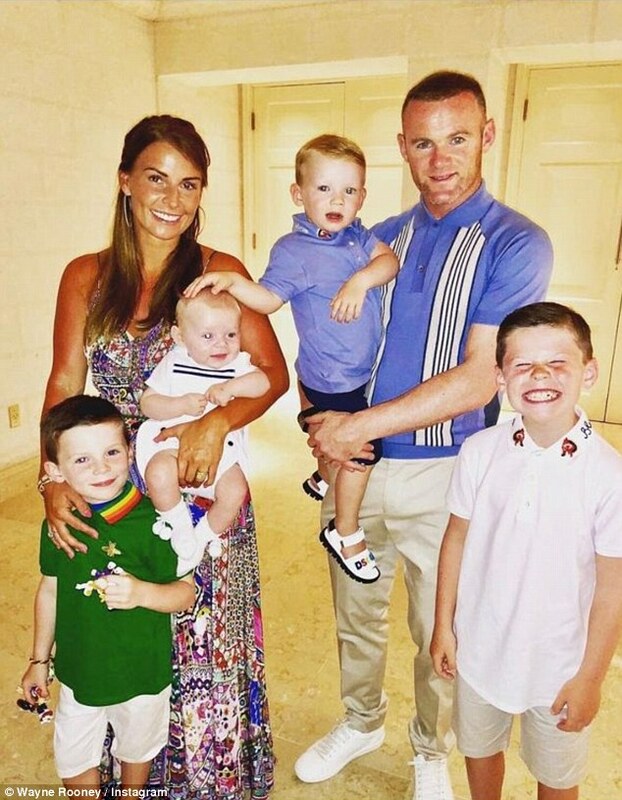 The new deal could see Wayne and his brood earn more than David, who earned a whopping £175million in marketing following his move to LA Galaxy in 2007. But Wayne’s new contract could see the star topple what the fellow England star earned, with the potential to see even more income. David – who is married to wife Victoria and shares four children with her – once reached number eight on the Forbes list of top-paid athletes following his five-year endorsements deal. MailOnline have contacted Wayne’s representatives for comment. Coleen and her brood, sons Kai, Klay, five, Kit, two, and Cass, six-months, joined Wayne in Washington, after confirming they will uproot from their Manchester home and relocate across the pond. The TV star’s recent social media posts came as she insisted it was an easy decision to uproot her life in Manchester to move overseas, claiming there was ‘no doubt’ that she would go with Wayne. She did concede that it was hard when her sons are so settled in their Manchester home in the UK. Wayne, who is reportedly earning a staggering £300,000-a-week from the move, announced the move last month.